Sinja Svarrer Damkjær attained her Masters degree in Engineering at Aalborg University, specialising in industrial design. She graduated in 2007. Inspired by Mother Nature and spring flowers, her final project was the creation of a lamp and a fresh interpretation of classical cross-pleating. The lamp comprises not just one but a cluster of lampshades. Their cables are twisted to form a decorative bouquet, creating a modern LE KLINT pendant. The bouquet is the first product in LE KLINT's history to use LED, the energy-saving lighting technology of the future. 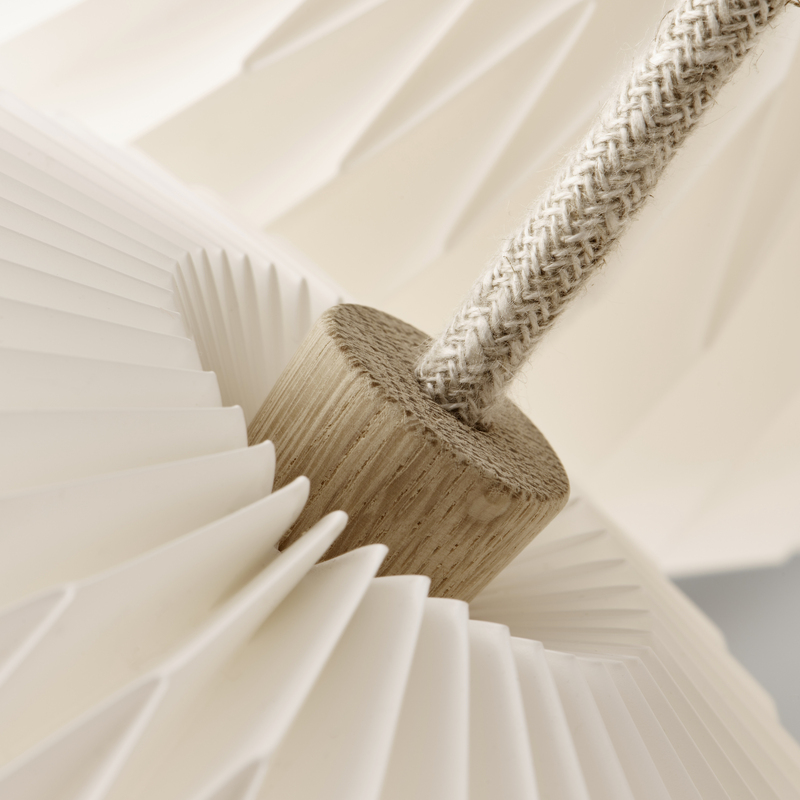 The designer has combined classical LE KLINT cross-pleating with modern lighting technology. The Bouquet is a pendants' series reminiscent of the floral world of Italian markets, with its floral compositions arranged head down. Available in soliflore or in bouquets of 3, 5 or 7 flowers with braided stems, The Bouquet shows a classic style very appreciated by Le Klint, with its lampshades in hand-folded plastic sheets, it is nonetheless modern with its neat details: a cord covered with natural linen braided is inserted in a small piece of oak above each lampshade. In a nutshell, Rustic and organic. Materials Pleated plastic sheet shade. Plastic diffuser. Braided linen cord. Cleaning instruction Clean by dust brushing or use a moist cloth when necessary.